How does our defense get our best DL into optimal pass rush opportunities? 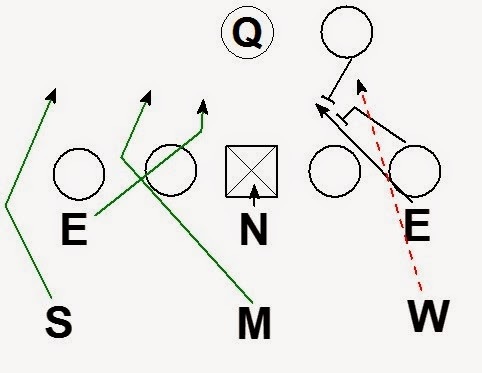 One solution is to combine a blitz and a twist concept in one call to create a one on one pass rush opportunity. Here is an example of this concept from a 3-3-5 defensive alignment. The center is the key. 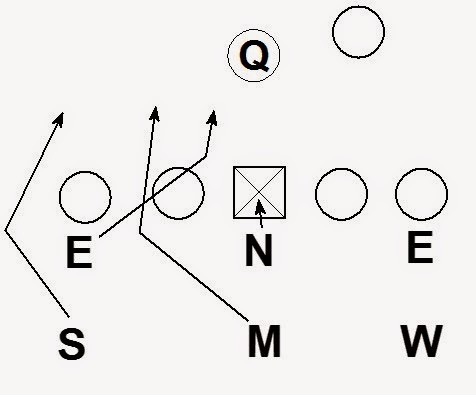 If the center holds space on the Nose the defense has a 3 (Sam, Mike, DE) vs. 2 (LT, LG). 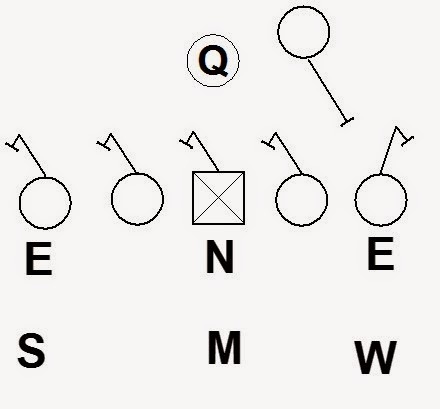 The more likely outcome is the center sets aggressively to the blitz. The guard opposite the blitz is forced to aggressively set to the Nose. 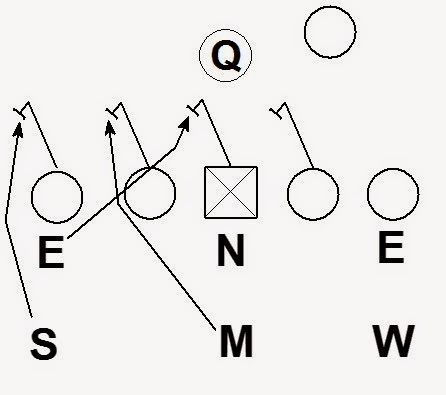 The aggressive pass sets of the center and guard create a large pass rush lane for the DE on the inside move. Against a half side the OT has the DE opposite the slide 1 on 1. With a huge amount of space for the DE to operate the OT has a very difficult block to make. This is especially true if the 1 on 1 DE is the defense’s best defensive lineman. 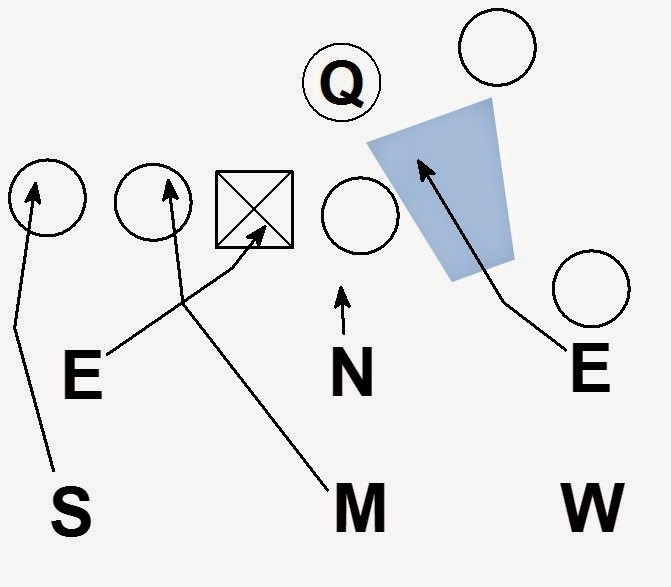 If the OT is able to handle the DE in the 1 on 1 block, the Nose has a short porch to loop for contain. One solution offenses may employ is to have the RB chip the DE. 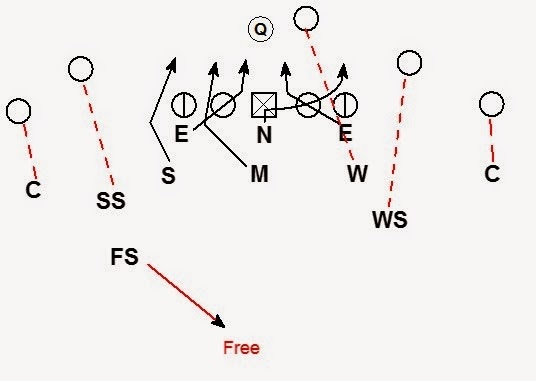 An easy solution for the defense, is to call the same blitz with a different coverage. 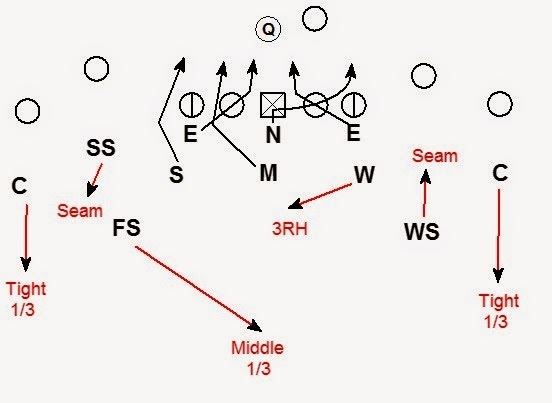 Here the defense uses a cover 1 concept. The non-blitzing LB (here the Will) is man to man on the running back. 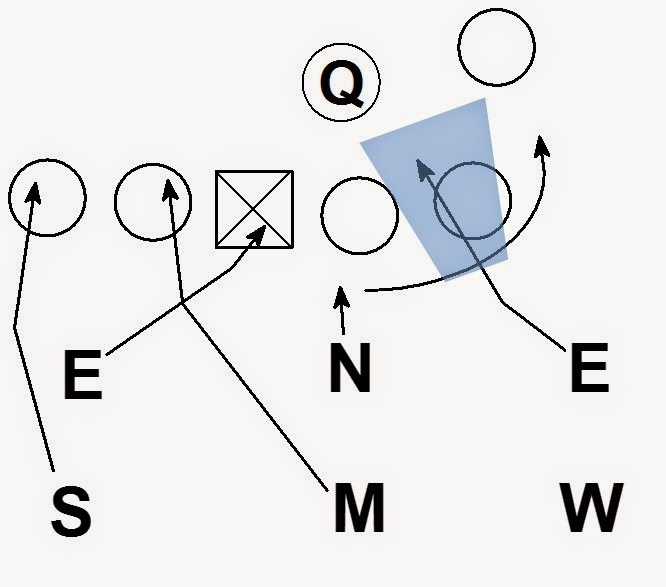 By using a rush engage coverage concept the defense is able to create an overload blitz to the RB. 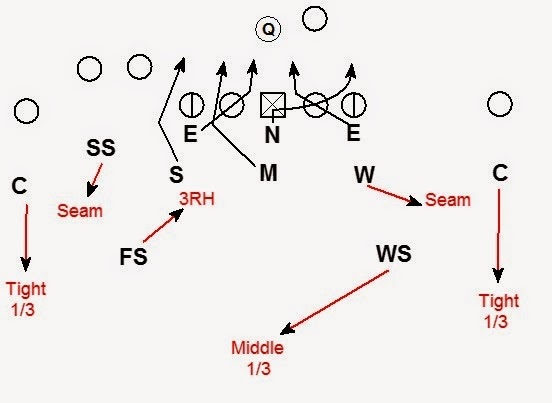 The concept of combining a blitz with a twist can be applied to other blitz patterns. 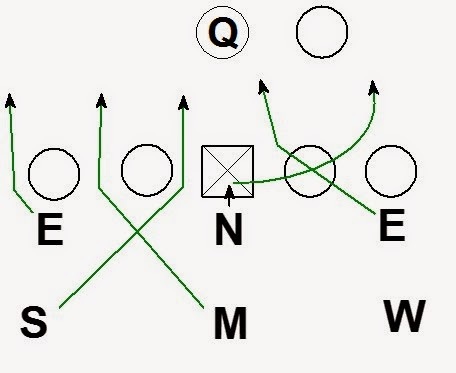 Any 2 linebacker blitz can be complemented with a twist concept away.